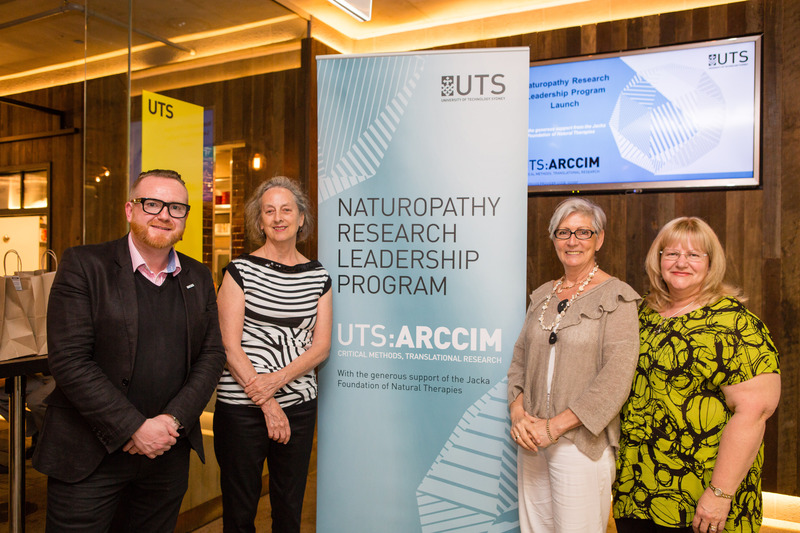 ARCCIM has founded and will host and conduct the world-first international naturopathy research leadership program with generous support from the Jacka Foundation of Natural Therapies. The ARCCIM International Naturopathy Research Leadership and Capacity Building Program has been made possible via generous financial support from the Jacka Foundation for Natural Therapies, Australia and will provide essential mentoring/career development and research capacity building for international naturopathy. The Program is based upon two other established and successful Leadership Programs in Primary Health Care and Complementary Medicine. Professor Jon Adams, Director of ARCCIM, has been a Senior Fellow on the Oxford International Primary Health Care Research Leadership Program run by the University of Oxford, UK since 2010. Drawing upon his personal experience and insights from being a participant in the Oxford Leadership Program, Professor Adams (alongside the wider ARCCIM research team) then established the world-first International Complementary Medicine Research Leadership and Capacity Building Program in 2014 – which has already produced over 30 peer-reviewed publications in the first 12 months. The initiative outlined in this document is based upon these two established programs alongside other features relevant to the international naturopathy research field. The ultimate goal of the Program is to identify, nurture and support future naturopathy leaders and to to help develop and lead a sustainable research culture able to help produce the evidence needed by patients, practitioners and policymakers. The Program will provide early-career and mid-career researchers (please see eligibility criteria below) a unique opportunity to mix with others interested in naturopathy research, to reflect and strategize in the context of not only their own career but the bigger picture of naturopathy research and the challenges/opportunities facing the national and international field. As such, the Program will provide a unique opportunity for the naturopathy field to lend essential ‘critical mass’ to the planning and development of a broad evidence-base for naturopathy use and practice. The focus of the Program is upon a broad approach to developing an ‘evidence-base’ drawing upon rigorous, established methods and disciplinary perspectives from across public health, health services research and clinical science. Within this, the focus is on the international scene and encouraging research collaboration across a range of countries. © Copyright UTS - CRICOS Provider No: 00099F - 26 November 2015 03:36 PM. The page is authorised by Deputy Vice-Chancellor and Vice-President (Corporate Services).